In al-Tuffah neighbourhood, in the eastern part of Gaza City, Mahmoud al-Khalili turns the ground floor of his family home into a workshop, which in time grows to become a small factory adjacent to the building. His sons, Ashraf and Ahmed, work with their father and eventually become mechanics of specialized factory machines imported from Germany. The family business is doing well despite the fact that the Israeli occupation and the blockade increasingly cripple the local economy, eventually leaving half of Gaza’s population unemployed. The factory produces simple plastic and wooden elements, such as broomsticks. Easily flammable. Mahmoud’s son, 37-year-old Ashraf, is laughing and when he laughs his whole body shakes. 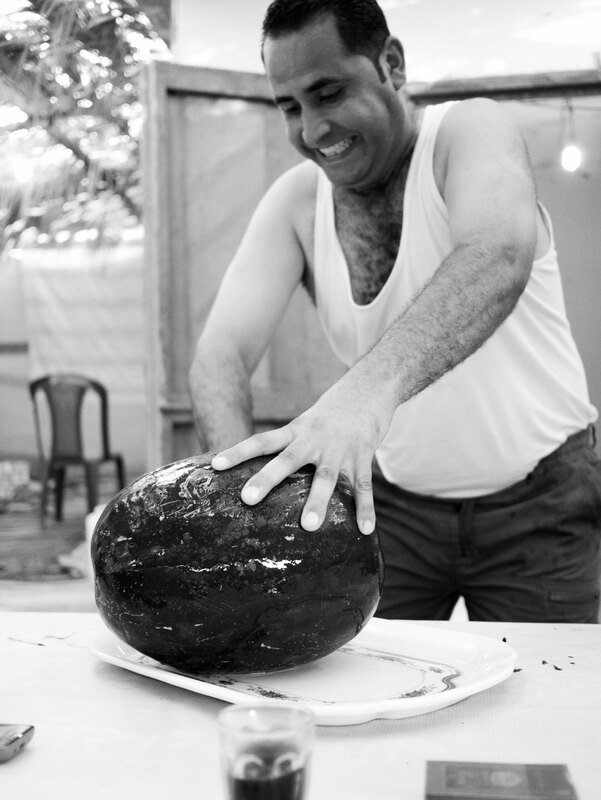 Compulsively hospitable, as all Gazans are, he entices his guests to eat more and more of a watermelon, picking for them the sweetest and juiciest pieces and not stopping until the silver tray is empty. Ashraf and his childhood friends from al-Tuffah meet every weekend in a small chalet on the Gaza City beach, where they smoke sheesha, play cards and chat about troubles at home. All are married, with kids. 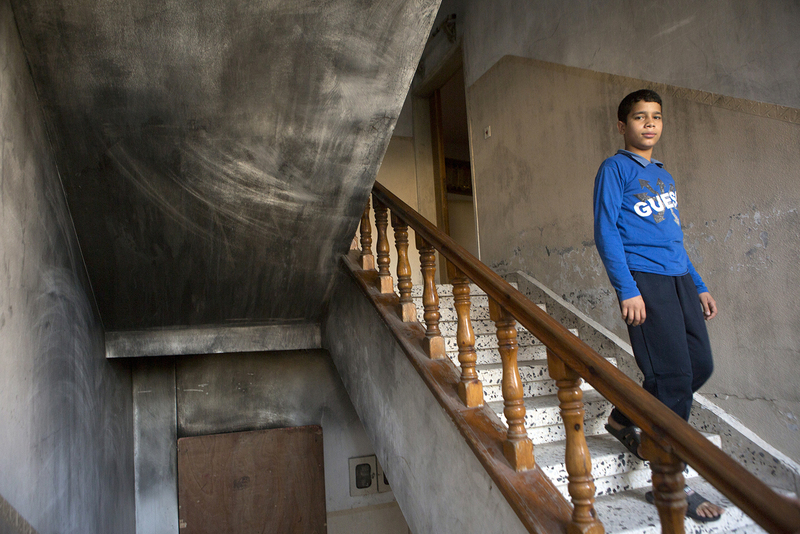 Ashraf and his wife Nidaa’ have three children, age three to eight: Mahmoud, Dima and Ziyad. Ashraf is a proud father and Dima is the apple of her daddy’s eye, as he says. She is a very energetic little girl. 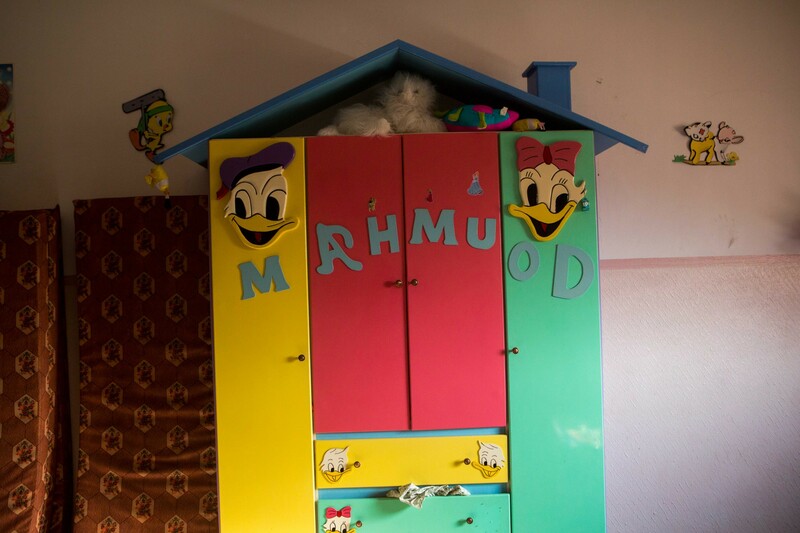 The kids are the joy of the house above the factory, where three generations of al-Khalilis live. It is just another hot Friday afternoon in Gaza. The beach is packed. Children play in the water. 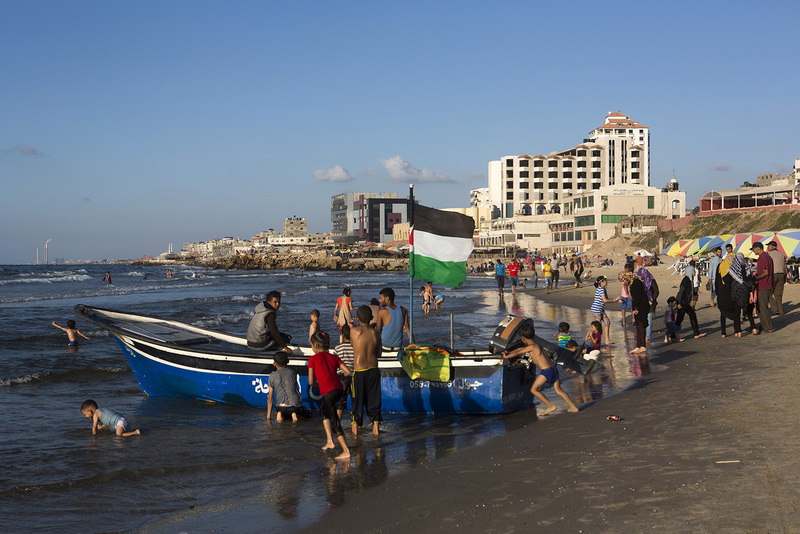 Families barbecue and picnic, enjoying the only open space in the Strip – the sea, the only window of this prison cell that the Gaza Strip has become. They know very well that the sea’s openness is illusory; go past three or four nautical miles from the shore and the Israeli navy will be there to attack you, arrest you and confiscate your boat. 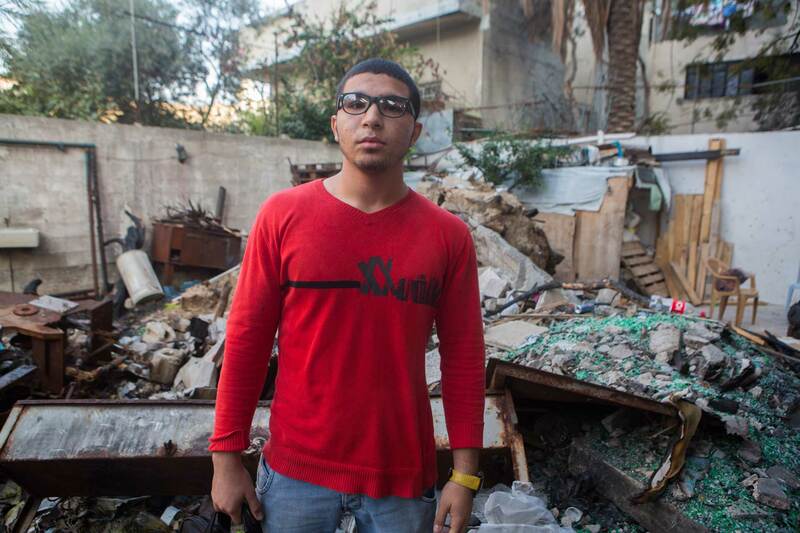 Ashraf and his friends spend the evening imagining how it would be to live in a normal place. Not under Israeli siege, not under the constant threat of Israeli bombings, not under the rule of a conservative government. How does it feel to be free? It’s a question asked by many people in the enclave. 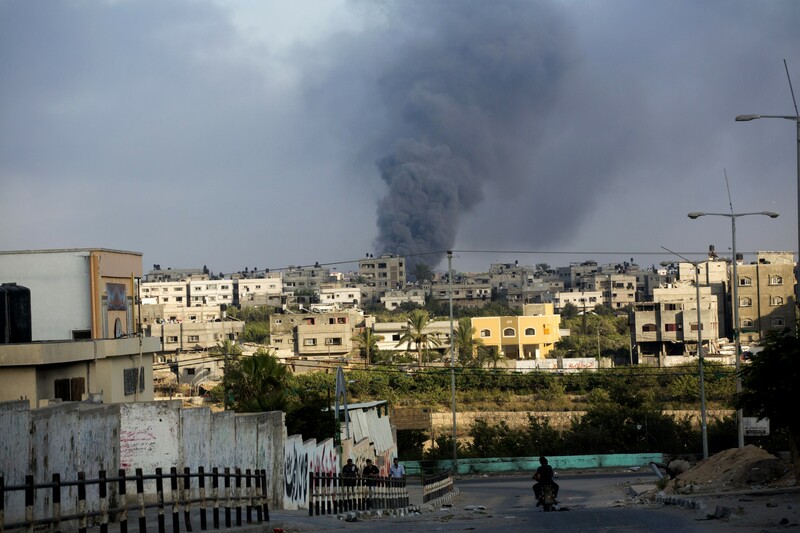 Israel launches a military operation codenamed Protective Edge – a large-scale offensive against the Gaza Strip. It starts with aerial bombings. The Israeli army begins the ground offensive. Eastern parts of the enclave are at risk from artillery fire – an extremely imprecise weapon. The target of an artillery shell is an area of fifty by fifty meters large. If a shell falls within 100 meters of the target, it is still considered a hit. The UN Human Rights Council concluded in its report that due to the indiscriminate nature of artillery shelling, using it in densely populated areas – almost anywhere in the Gaza Strip – can constitute a violation of the customary international law prohibition of direct attack on civilians and amount to a war crime. Israel will pour 35,000 artillery shells into the Gaza Strip during the summer war. The night is horrifying. 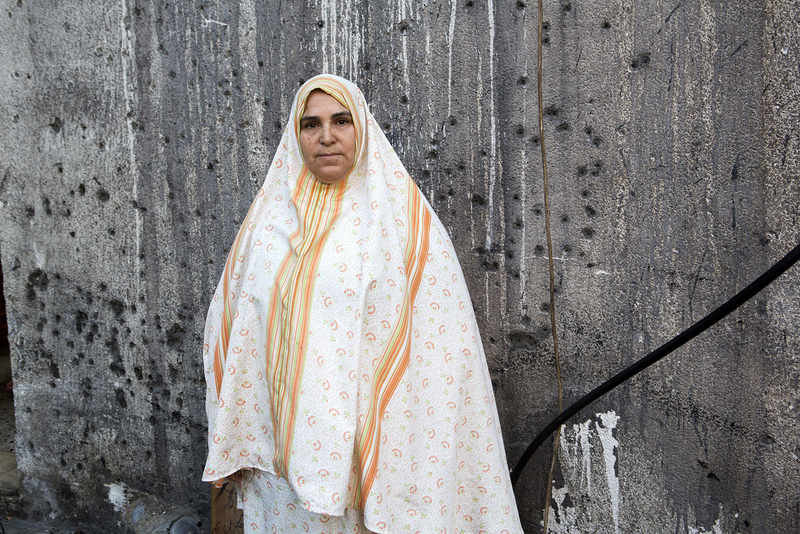 Bombs explode all around and to the al-Khalili family it becomes clear that it is not safe to stay in al-Tuffah anymore. In the morning, Mahmoud gathers his children and grandchildren and starts sending them off to houses of relatives located further away from the border with Israel. It is almost impossible to find a car, there is a severe fuel shortage and drivers are afraid to enter neighbourhoods close to the combat zones and targetted areas. The al-Khalilis need more than one car – there are 30 people waiting to be evacuated. Mahmoud, his wife Nailah, their daughter and three sons get into a car. Ashraf and his younger brother Ahmed with their families are the last ones waiting for a ride. Ahmed’s wife Aya is pregnant; they have a five-year-old daughter Lama. “Just leave as fast as you can, be ready to jump into the car when it arrives” – Mahmoud tells his sons and drives off. The two families sit in the garden in front of the house, waiting. Israeli soldiers fire two tank shells. 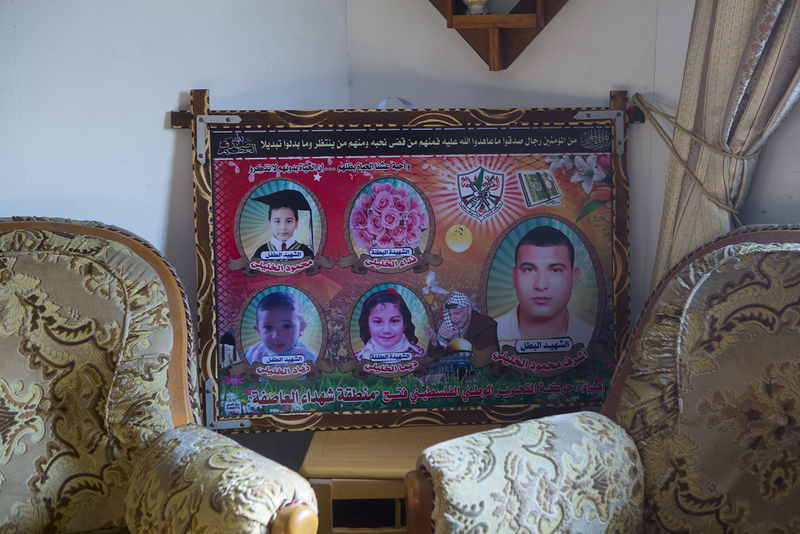 The shells fall and explode in the garden where Ashraf, Ahmed and their families are sitting. The factory quickly catches fire which spreads onto the house. Seven-year-old Mahmoud, Ashraf’s son, does not lose consciousness, not during the explosion and not when the fire engulfs his family. Later, in the hospital, he will slip into a coma. Green plastic bags are supposed to hide the charred corpses. But an arm, sticking out from under the plastic, indicates the state of Khalilis’ remains. Another plastic bag shrouds three people, presumably Nida’a and her two children, burnt, disfigured and glued together. 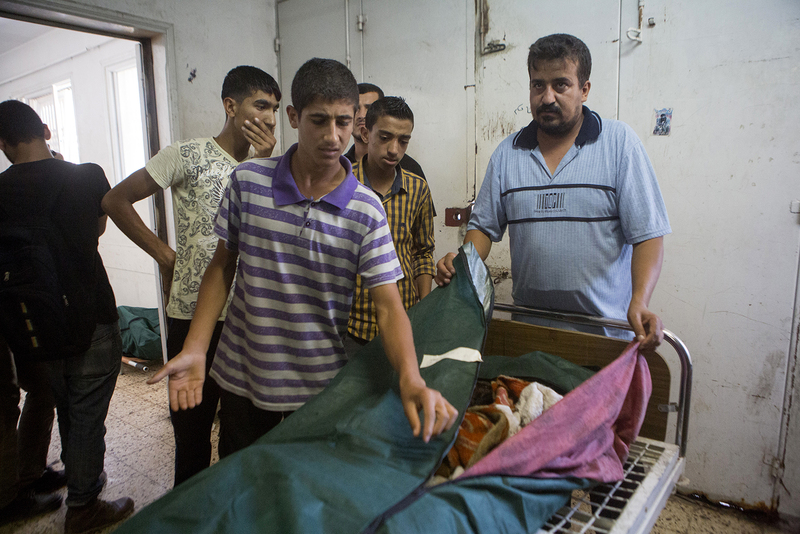 Ibrahim, 18-year-old brother of Ashraf and Ahmed, is trying to identify the bodies. He cannot recognize his loved ones. 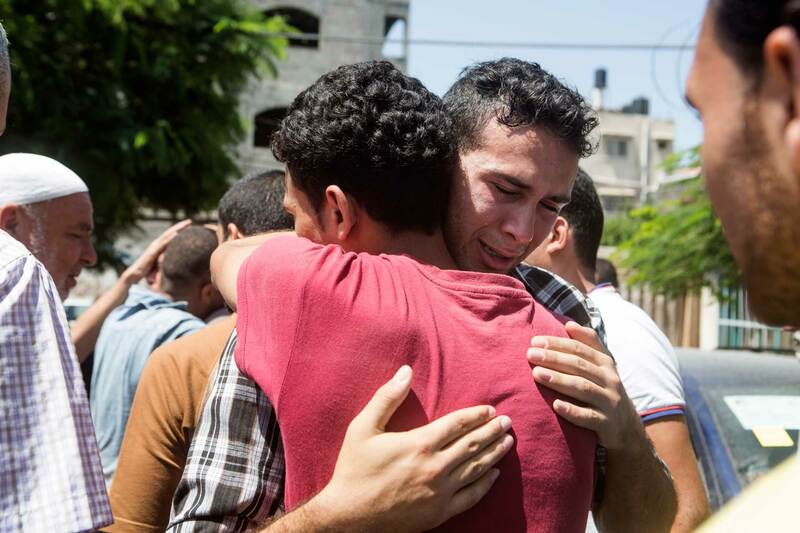 Another al-Khalili brother, 20-year-old Ismail, is crying in pain in front of the morgue of Al-Shifa Hospital in Gaza. Mahmoud, who was sent to Egypt for treatment, dies from burns that cover all of his body, before reaching a hospital. Ibrahim, Ismail, their parents and other siblings still live in the partially burnt house, that may collapse at any time. The smell of burning, the charred walls of the staircase, the rubble and ashes that cover the garden – are constant reminders of the tragedy. The rooms of those who were killed remain untouched. The Khalilis want to move, but with 100,000 people left homeless in the aftermath of the offensive and with the pre-existing housing shortage, they have a hard time finding another place to settle down, and even if they do, they wonder how they would pay for a new home. Without the reconstruction of Gaza, it will not become easier any time soon. The factory is also completely destroyed. It was much more than a stable livelihood for the Khalilis and the 10 to 20 workers they employed. Their whole family life revolved around it. Ibrahim, Ismail, their parents and other siblings still live in the partially burnt house, that may collapse at any time. 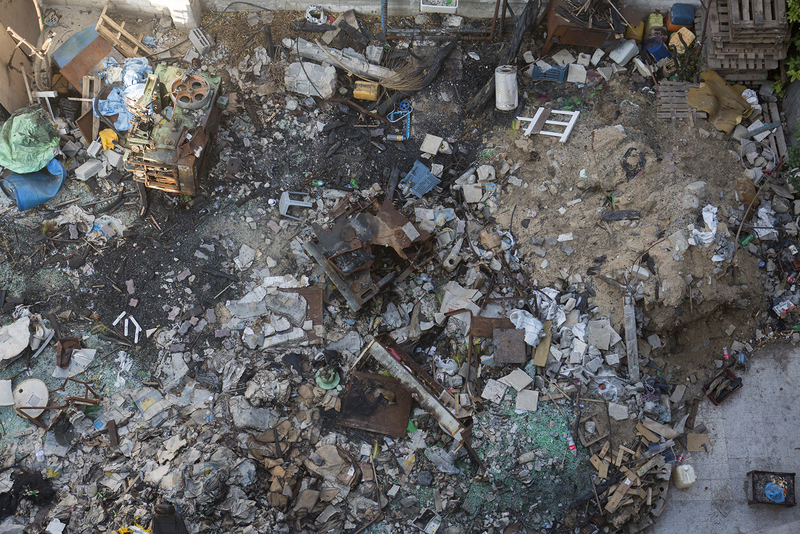 The view from the rooftop of the burnt yard in front of al-Khalili's home. "How can we get our rights?" asks Nailah al-Khalili who lost two sons and four grandchildren in the attack. He talks about “natural” life and maybe this choice of words – “natural” instead of “normal” – is much more than an insignificant mistake of a person with basic command of English. Of course, normal life is absent from Gaza: there is nothing normal about spending two thirds of a day without electricity in the extreme heat or shivering cold. Normal is not salty water dripping from the tap and even this is not to be taken for granted. Never leaving the small enclave and being bombed from the sky, land and sea every two years is not normal; nor is being unable to farm your lands or fish without risk of becoming a target for Israeli fire. But life in Gaza is more than abnormal. Just like Ibrahim says: it is not natural. The regularity of cycles of Israeli bombings is not natural. The stubborn insistence on surviving and living of those whose loved ones were killed is not natural. The hospitality and openness of Gazans, closed off from the world, is not natural either. 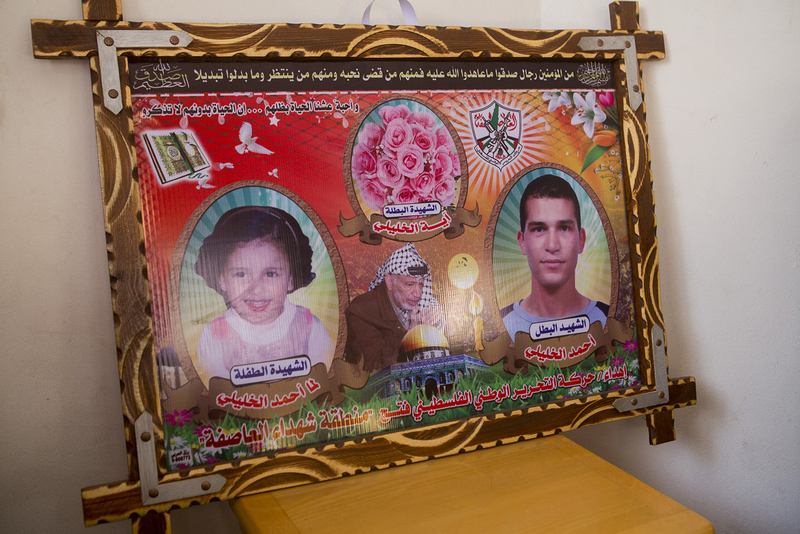 In one possible version of the future a photo collage of headshots of the victims, an all too typical image in Gazan homes, would hang on the wall of the al-Khalilis’ renovated house. The walls would be white again, the soot would be gone. Time passes and grief would have eased, but no one would have forgotten those who had been killed. The Israeli-Egyptian siege would be lifted and people would be able to move freely. Ismail would go to Germany, just as he always wanted. 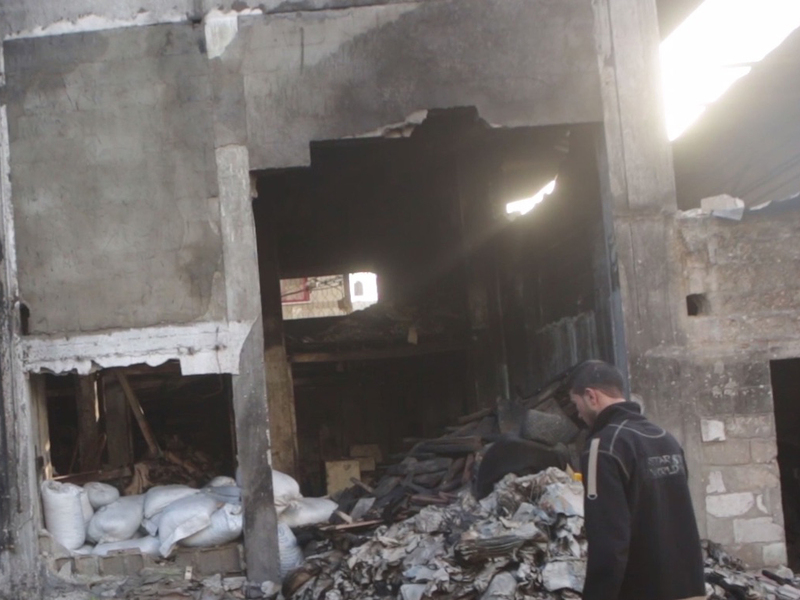 Ibrahim would finish his business degree and help his father rebuild the factory. The family would not be able to dream of a truly normal life after the tragedy that fell upon them. But life, without the siege and the constant threat of Israeli bombings, would become more “natural”. 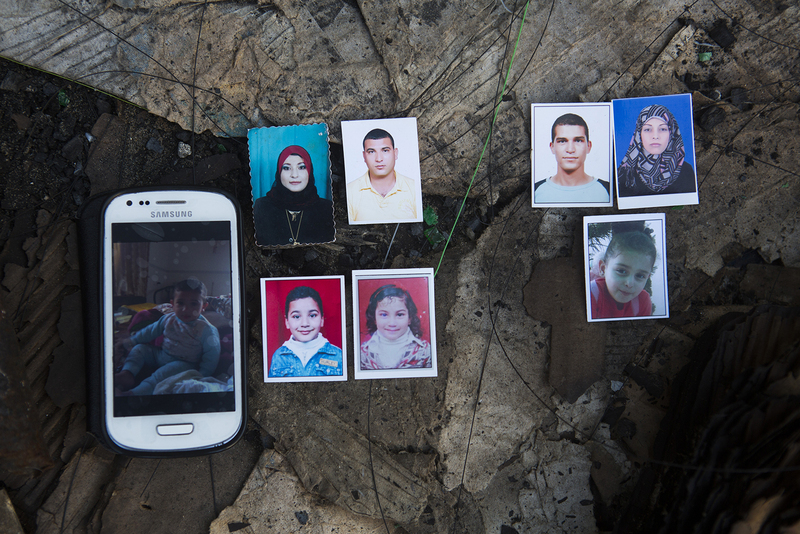 Eight members of the Khalili family were killed while waiting to be evacuated.